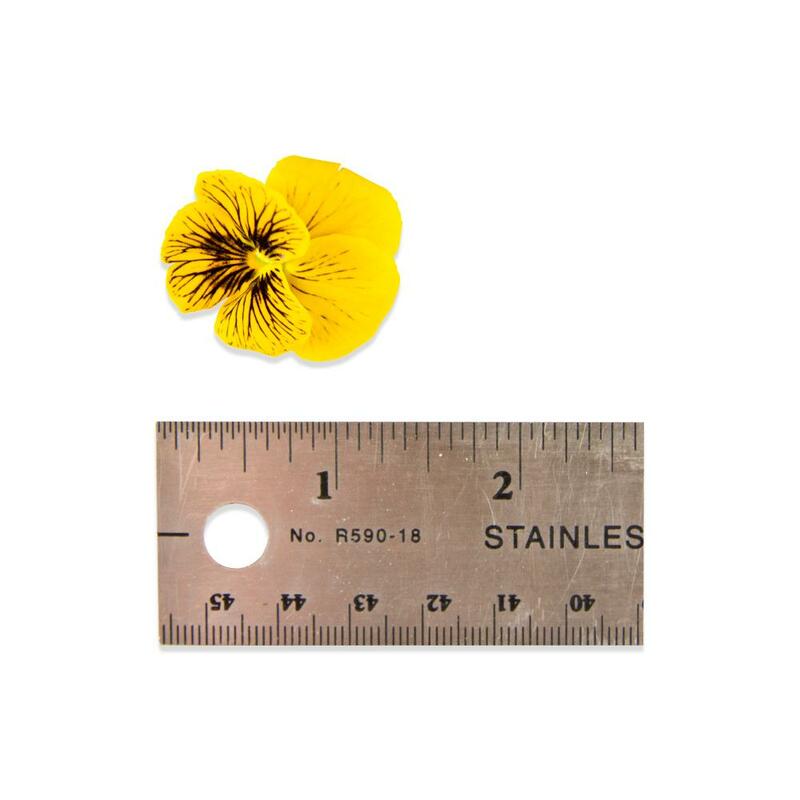 Viola blossoms offer a somewhat similar look to edible pansies, but are significantly smaller, approximately 1” in diameter. 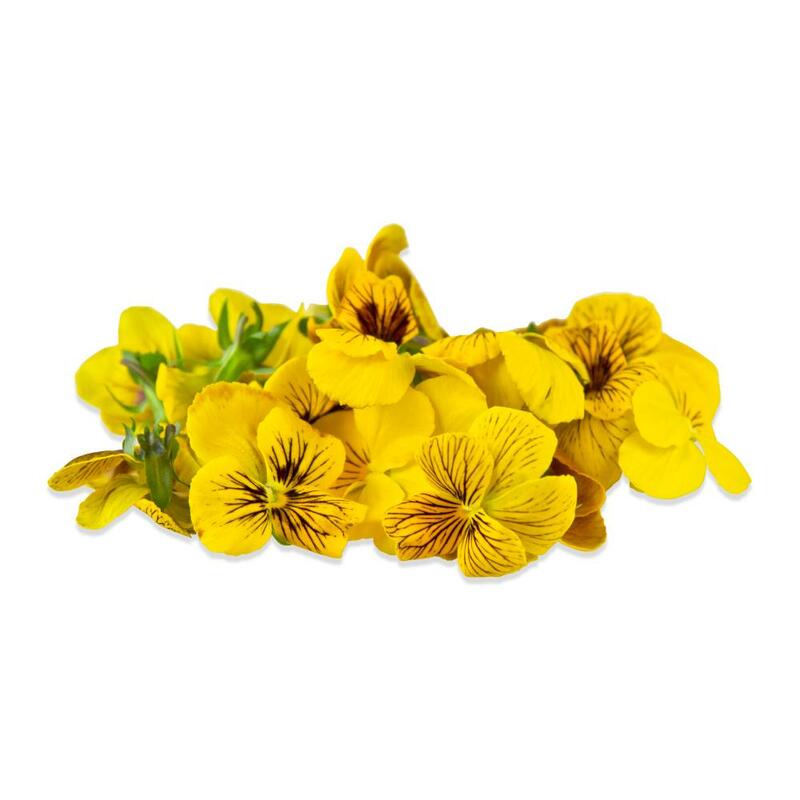 Like pansies, they are one of the more palatable edible flowers, with a minty, slightly grassy flavor. Their thin, wide blossoms float well in beverages, making them a good choice for garnishing cocktails. These violas are sold as a mixed color blend - which colors are in the blend vary with availability. Conventional violas can include dark purple, light purple, blue, yellow and orange. Organic violas are sold as a blend of purple and yellow. 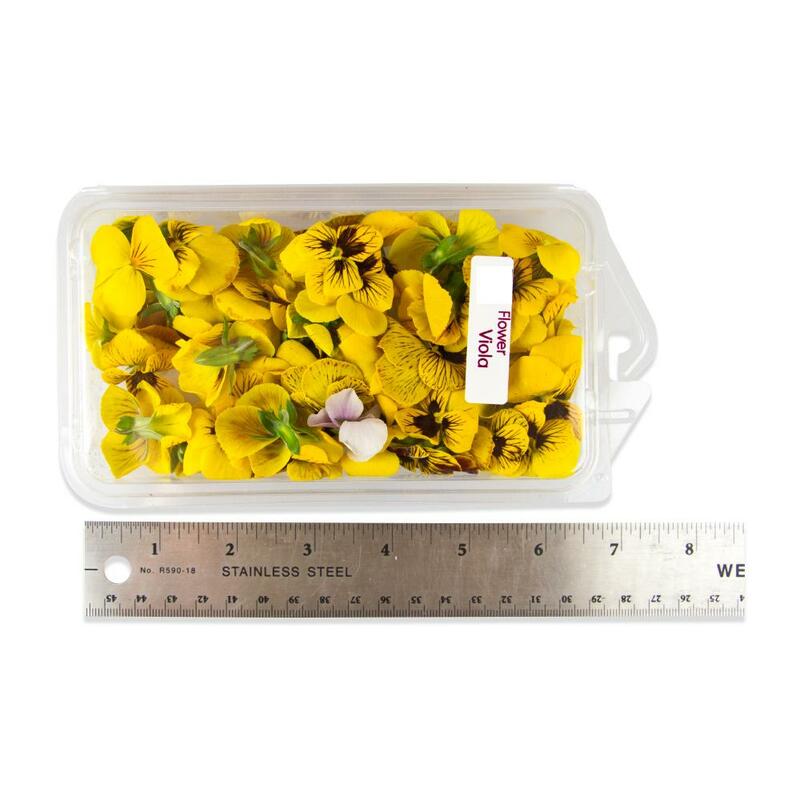 Store edible violas in your refrigerator in their plastic clamshells until you’re ready to use them. Violas are one of the more tasty edible flower varieties, making them a particularly good choice as a dessert garnish or addition to salads. Most of their flavor is actually in the green bottoms of the blossom, so separated petals will be more mild. Violas float well in liquids, so they’re a great garnish option for cocktails, champagne, etc.